We have multiple CPAs who are experts in tax preparation, specifically for Fantasy Sports Players, Sports Bettors, Gamblers and Cryptocurrency Investors. Don’t have a CPA to prepare your tax return? That’s okay. DFS Accounting Services, LLC has multiple CPAs who are experts in tax preparation, specifically for Fantasy Sports Players, Sports Bettors, Gamblers and Cryptocurrency Investors. 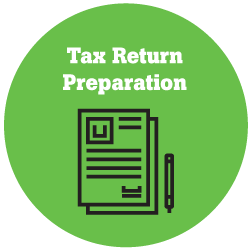 Tax return preparation fees are tailored to each individual player/investor. Complete our tax return estimator below to quickly determine your tax preparation fee. Once completed, one of our tax experts will reach out to you within 48 hours to discuss your individual fee estimate. Please fill out your contact info below. Let's get started by answering a few tax questions. We'll review your information and get back to you with an estimate.